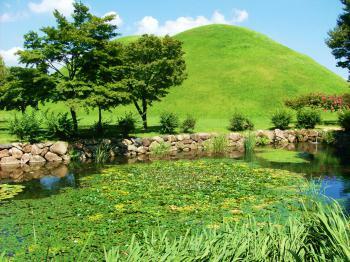 Gyeongju Historic Areas, comprising the former capital of the Shilla Kingdom, is a repository of ancient cultural treasures. Dozens of National treasures and historical sites are carefully preserved here. In whatever direction you care to walk you will come across tombs, temples, shrines, the remains of palaces, pleasure gardens, castles, Buddhist statuary and even an observatory. The strange structure of Cheomsongdae is an ancient astronomical observatory. It is probably the most well known of Korea's historic remains. 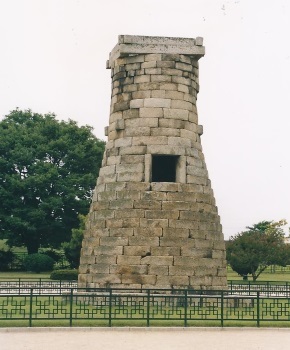 The stone astronomical observatory was built during the reign of Queen Ssondeok in 634. The bottle-shaped tower was constructed on a square base. It is considered the oldest observatory in the world and one of the oldest man-made structures left in Korea. How it was operated is not known. To be honest, I was a little bit disappointed by Kyongju (now spelled "Gyeongju" by the way). The historical relics are scattered around town, but most of them are not major sights. The cute Cheomsongdae Observatory is the one thing that you really must see here. So old, so delicate, and in such a good condition. I visited here in the autumn of 2007. I would describe Gyeongju as the Korean Equivalent of Kyoto or Nara, only not as well preserved. There are fewer historic structures and monuments standing compared to what you will find in Kyoto. I stayed in Gyeongju for several days where I was able to spend time exploring this site as well as the nearby Seokguram Grotto and Bulguksa Temple. I thought that Gyeongju was the best site I visited in South Korea. 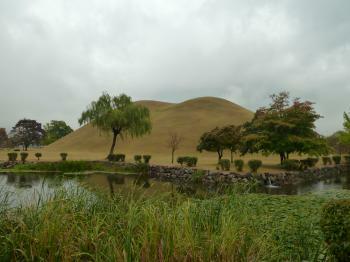 Read more about Gyeongju Historic Area on my website. I visited this WHS in April 2017. I visited all the different locations spread out around Gyeongju over 2 half days which yielded no tangible appreciation from the sites themselves (apart from the oldest astronomical observatory). Each location of this WHS has a UNESCO stone marker. I'd recommend leaving some time for the impressive Silla collection at the National Museum of Gyeongju (free entrance). However, I really wasn't that impressed by the ruins/sites in Gyeongju even though the gold Silla relics displayed in the Museum are exquisite. My perception changed after a full day of hiking from one hill to the next in Mt Namsan, hiring a taxi for the day to be able to cover more ground. The Mt Namsan area is 8km long and 4km wide. It comprises Mt Geumo (468m high - peak reachable through a 4km trail), located to the south of the ancient Silla capital of Seorabeol, and Mt Gowi (494m high), including 40 mountain valleys. It really is somewhat of an open air museum with 112 temple sites, 80 Buddhist statues, 61 stupas, 22 standing stone lanterns, historic relics along with prehistoric relics and countless Buddhist remains and carvings born out of a marraige between Buddhist faith and the natural environment, epitomising Bulgukto, the ideal Buddhist land of the Silla people. When arranging a taxi ride for the day, I was very lucky as the taxi driver happened to be collecting photos of several Buddhist carvings on his mobile phone so most of the time I only had to point at one of his photos for him to take me where I wanted. Moreover, he took me to other places I didn't even know about and most importantly he hiked with us to all the sites which proved to be a godsend as we would have never found our way as there were no hiking trails but only information boards exactly next to the engravings or statues. We saw an infinite amount of stone pagodas but what were truly impressive for us were the rock-carved Buddhas. The first one worth mentioning is the Seated Yeorae Image carved on a rock boulder. Take good hiking shoes and be careful on your way down (skip this if it's raining!). Next we saw the 4.36m high stone seated Buddha of Mireukgok on the east slope of Namsan with a pear-shaped halo (photo). We proceeded to Borisa to see the Buddha carved on the rock surface, overlooking the Mangdeoksa Temple Site and with a panoramic view of the Namsan valleys. In the Bulgok valley, we took an unpaved road to the start of a signposted 1km trail to another 2 rock-carved seated Buddhas. The highlight for us was definitely the 10 metre high boulder with a circumference of 30 metres in the Tapgok Valley. Here there we counted as much as 34 Buddha images on this single boulder and 2 ten metre high engravings of the lost wooden pagodas of the Silla period. In Namsan, we were practically on our own all the time, away from the tourist buses. The details of most of the rock carvings are comparable to the ones in the Ajanta Caves of India and are worthy of inscription on their own. The experience of going from one boulder to the next though was more similar to our recent visit to Bhimbetka in India but on a much larger scale. Last but not least we visited the stone pagoda of Bunghwangsa which was built in 634 AD, the third year of Queen Seondeok. It is made of andesite cut like bricks and was initially a seven or nine tier pagoda. Now only 3 tiers remain. It has 4 entrances flanked by a pair of granite pillars bearing carved reliefs of Vajrapani or Ferocious Guardians of Buddhism (quite similar to the ones in Seokgoram) with 4 lions posted at the 4 corners of the pagoda's base. I found Gyongju to be a pleasant place to be based during my first few days in Korea. Some guidebooks seem to go over the top with their praise of the place which can leave people disappointed with the reality, however for me it was a great place to relax and see some of the most important sites in Korean history. On the bus to the city I got a great introduction by listening to this episode, from the British Museum/ BBC A History of the World in 100 objects. On top of this I visited the free Gyonju museum which was very interesting although a touch over run with friendly school children practicing their English on me. These gave me a better understanding of what may otherwise just be a series of grassy hills. I have actually visited a fair few grass mounds in my pursuit of World Heritage Sites but these were the most enjoyable I have so far encountered. The central cluster are actually a very enjoyable piece of landscape design and are very well presented, also there is one tomb open for you to explore the interior, which is well worth a look. There are two other WHS nearby and whilst the modern town is decidedly unremarkable, it has all the amenities you will need making this a great place to be based in the south of the country. * A note to explain the top marks for the experience at this site, it isn't necessarily for the wondrous things you can do in Gyongju. It is actually for the astonishingly friendly welcome I was afforded everywhere I went in Korea, but especially in this city. 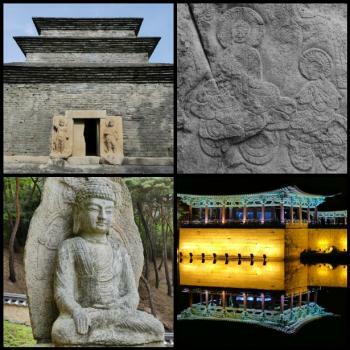 If you have read reviews of the Korean world heritage sites on this site and thought that perhaps Korea isn't really the most interesting destination then I would implore you to not be put off a visit. Whilst its WHS are nice they are not perhaps in the highest order; however the people, food and atmosphere are magnificent. I have posted an example of the incredible hospitality I received here. I have been doing an exchange program for one semester here as an archaeologist, and truly I can say: "Gyeongju is a treasure paradise to any archaeologist!" As a student in Dongguk University's Archaeology Department, I have been able to get a good look at the current excavations being done, as well as seeing all the sites that are to be seen in and around Gyeongju. What history! There are so many stories yet to be told from this city as the excavations will be going on until 2025. We think we know it all, but no, no, there's so much yet to be learned about the lives lived in the historical era of Silla. In my personal opinion, people who expect too much miss out the little things which truly makes Gyeongju the exciting historical site it is being advertised as. I can take a walk along the riverside, in the mountains or by the farm roads and find small pieces of artefacts all over. In walking at the edge of the wall of Banweolseong fortress I even stumbled across a near complete earthenware from around AD. 500!! (It has been, as required by law, given to the National Museum of Gyeongju.) When walking in Gyeongju, you are literally walking on historical grounds filled with artefacts from its days. It is such an amasing experience! ...well, at least for anyone with historical/archaeological interest who fare with an open mind. The astounding number of Silla relics in Gyeongju is what makes this ancient city outstanding. Some of the sights are rather brief visits, such as the oldest Astronomy Tower in Asia and the largely re-constructed Anapji Pond. Yet the more time you spend in Gyeongju, you begin to recognize these incredibly diverse sites are all that remain of a powerful and advanced ancient civilization. If you have the great opportunity to visit Gyeongju make sure to visit the tombs and spend some time in and around Namsan mountain. Gyeongju being the ancient capital of Silla is a wonderful glimpse into a fascinating period of Korean history and is quite different from other regions of the country. It is now our school's vacation time, and I am looking foward to doing some traveling. As a gyopo(sp.?) who has unfortunatley been unable to experience life in Korea until now, Gyeongju seems like the perfct place to really take in what historical Korea has to offer. I am reading both positive and negative things about this area, and after going there I will have formed my own opinion about its value to me. I am married and do not frequent clubs, nor do I drink. I especially don't have the desire to travel to a beach every weekend, so I can come back to work with a repetitive re-telling of how drunk and stupid I was on my escapades Saturday night. Sadly, I think tourists in general have gradually moved away from site seeing that has no commercial appeal. It is easy to vsit a palace, temple or cultural relic if there is an amusement park, mega-mall/underground arcade, or overcrowded beach just a taxi ride away. If you are interested in pottery and art, you can visit pottery villages. If you want to see yourself in a more eastern light you can go and stay at a temple. What a great bunch of things to do and tell stories about, right? Even a temple stay has a sort of "this is the thing to do" feel about it. I don't speak for everyone when I say that I would prefer to forego places where I can build up my shopping bag collection, or eat at a Bennigan's to be reminded of how western I am, etc. One poster commented on having an open mind when you visit these types of places, and I have to agree. Travel "hot spots", or "not-so-much travel hot spots anymore" like this have merits that encompass not only its rich history, but a sort of bare-boned simpleness. Something that brings with it a deeper appreciation that cannot be bought, sold, or sun-tanned. The legendary capital city of the sophisticated kingdom of Silla, the first great capital of unified ancient Korea, the forth largest cultural, economical, and political center of known ancient world, one of the oldest human living cities in the world, an open air museum are all the superlative definitions of Gyeongju stipulating all tourists to visit making this city one of the MUST destination in Korea. For sure all clarification above make you expected something great from Gyeongju with many ruins like ancient Greek or Roman cities. But Gyeongju turn out to be quite disappointing with nothing much to see, most of historical sites are burial mounds in the park, with few outstanding buildings. Cheonseomdae, the tiny ancient planetarium, and beautiful Anapji pond are two major sights but are not so outstanding in my opinion. To flavor many bored tourists the city of Gyeongju tries their best to turn historical park into flower fields to make the park more attractive especially in the evening with the really nice set of light decoration. Another area that worth mentioned is Mount Namsan with lots of Buddhist artifacts scattered around the mountain but considering the quality of art, Seokguram Grotto is much superior. Many tourists and reviewer praised Gyeongju by admiring Bulguksa Temple and Seokguram Grotto, but we should separate these two places from Gyeongju as they are different site in term of World Heritage. So if we cut Bulguksa out from Gyeongju, I rarely heard people mentioned the beauty of historic sites in city center or mount Namsan. 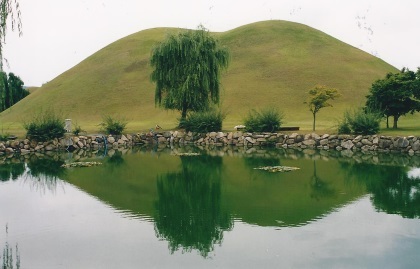 All in all, Gyeongju is a victim of overrate tourist advertisement by using too much historical fact. Gyeongju is easily compared with Nara in Japan, however the feeling after visit of these two cities are totally different, for Nara you don't expected much from this short lived capital resulting lovely surprise and enjoy the trip, but with load of expectations for Gyeongju the outcome is upside down. I agreed that to enjoy Gyeongju may need time to appreciate its secret, but with the Korean governmental fact that the amount of tourist visit Gyeongju is decreasing compared to other regions of Korea may provide some answer to all of us. Some twenty years ago I lived in the city known as Taegu, better known today as "Daegu",city only about fourty minutes away from Gyeongju,city of ancient Shilla Kingdom. The Gyeongju city has more than thousand years of history,which by the way makes one of the oldest human living city in the world, and certainly makes older than any other western european cities except Athens and Rome as exception,and certaintly makes order than London city. Though today city is modern and only hold only some 350,000 thousand people,please do understand at one time in it's prime days,Gyeongju city was world's forth largest cultural,economical,and political center of known ancient world followed by Constantinople,Baghdad and Changan of China with population close to a million people,so you do a math. To those who did not enjoyed city of Gyeongju I feel sorry to heard that,but like anywhere else not every can have pleasent experince where ever you go,but word of advice,when you do travel to different cities of any nationalists,do little bit of research before you travel,and travel with open mind without any prejudices, than you will truly able to understand and appreciate more where ever you visits! Enjoy your travel! I am dissappointed with the negative responses seen here! As an English teacher travelling and living in Korea, I consider myself lucky to have had the opportunity to see the amazing historical treasure that is Gyeongju. Gyeongju has the amazing atmosphere of a lost Asian empire, and all the history you need to make the pieces fit can be found in the great museum. The burial mounds are fantastic and the town itself is a melting pot of different times. I had the pleasure of visiting Korea in 2003. I was not impressed with Seoul but when we went to Gyeongju, it was overwhelming. The temples are beautiful. The monks are very friendly and hospitable. You could feel the sacredness of Bulguska temple and the Seokguram Grotto.It seemed like time was at a stand still. It was a very healing experience for me and my family. We are planning on returning in 2005. Kyongju is very very overrated, I moved to the city almost 6-months ago, choosing a job there over one in Seoul because I had read about how beautiful it was meant to be. Quite frankly I am very disappointed. The city of Kyongju is a hotchpotch of modern 1980's building which have been erected with absolutely no regulation or proper planning. In amongst this high rise hell are to be found a scattering of very unimpressive historical artifacts many of which would not be given a second glance were they to be found in Europe. OK the burial mounds are impressive, but they are not captivating in the way an old medieval town is. Out with the city of Kyongju itself (it should be remembered that despite Kyongju being marketed as an open air museum some attractions are 20km away) things are much better. 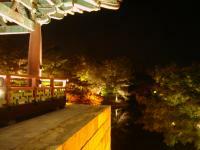 For example the temple at Bulguksa is absolutely fabulous as is Seokguram Grotto a short walk away. My father lived in Corea in 1985, for he was bilding a nuclear power plant in Uljin, and i spent 2,5 monthes there. We were living in the contry-side, in Buku, and i had time to integrate a bit of corean culture before going to Kyongju. I think it's necessary to understand what might be invisible to occidental eyes. Brick architecture: Bunhwangsa Temple was built in honor of Queen Seondeok (27th ruler of Silla, 632-647), who was the first female ruler of the Silla kingdom. 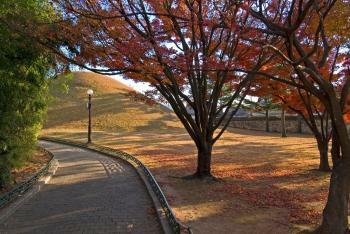 Here you will find Mojeonseoktap, the oldest surviving stone pagoda from the Silla kingdom. A structure unlike any other, Mojeonseoktap is made of roughly-hewn stone bricks. Silk Road: The Silk Road contributed to the Golden Age of Silla. Silla Kings allied with the Tang dynasty to defeat rival Korean kingdoms. The flowering of Buddhism in Gyeongju in the 7th and 8th centuries began with the Silk Road extending to the Korean peninsula. Historical Food Remains: Excert from National Geographic Magazine (August 1988) Kyongju, Where Korea Began by Cathy Newman (Concerning the Heavenly Horse Tomb) "We also found eggs in the coffin." "Eggs?" "Seven Eggs. One or two actually intact. To nourish the dead." Piracy: "Wokou (Korean pronunciation: waegu), which literally translates as "Japanese pirates" in English, were pirates of varying origins who raided the coastlines of China and Korea from the 13th century onwards. The term Wokou was used by both Chinese and Korean troops in reference to the invasion force of Toyotomi Hideyoshi." - wiki The Imjin War was an Invasion force meant to conquer Korea, China, and India. This could hardly be classified as "piracy". However, Wokou did make up a large portion of the Japanese navy. Furthermore, there is one infamous example of piracy on the Japanese retreat back to the sea which sole purpose was revenge and plunder. "With Kato Kiyomasa's last withdrawal vengeance was wreaked, and the entire city (Gyeonju) was put to the torch, including the wonderful Bulguksa temple. Loaded with plunder, Kato reached the sea coast of Ulsan." 134 Community Members have visited.